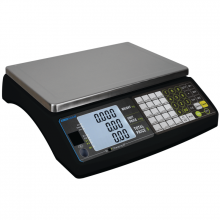 The Integrator C Series multi-range interval price computing scales are designed for any business that sells product by the weight. It is packed with features that make life simple: preassigned navigation keys, easy to use software for downloading and uploading data, and much more. Whether you operate a coffee shop, a deli, a candy shop, seasonal market, movie theater or a slew of supermarkets, this scale will support your requirements and assist you in being more profitable. 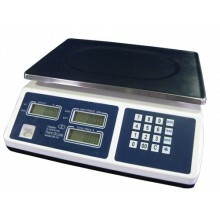 The CM-101 is a leading selling 30 lb NTEP Certified Legal for Trade Price Computing scale. It has a well-earned reputation of providing years of easy and reliable use. 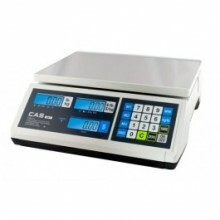 It is very easy to use and is light weight with a small footprint. It comes with a backlight LCD display, a long lasting internal rechargeable battery and an AC adapter. 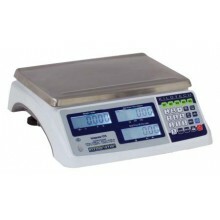 The dual-range Raven scale facilitates efficient retail weighing and price computing. 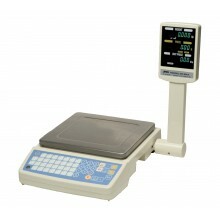 Backlit LCDs on the front and rear of the scale show weight, unit price and total price, so they are visible by both operator and customer. The Raven's large stainless steel pan removes for quick cleaning between sales. For fast configuration and easy operation, the Raven has 44 keys, some of which are color-coded to facilitate quick recognition of frequently used buttons. AC adapter and rechargeable battery are included.